2014/12/31 Ucraina: I principali eventi e temi del giorno - Il pubblico vede le azioni delle autorità ucraine nel "cessate il fuoco" collusione separato con i terroristi. Grandi eventi e argomenti del giorno 31.12.2014 dall'agenzia di stampa "Digest e Analytics - Ucraina"
La leadership del paese è congratulato con gli ucraini di nuovo anno. Il pubblico vede le azioni delle autorità ucraine nel "cessate il fuoco" collusione separato con i terroristi. En dépit d'une baisse de la production industrielle les perspectives de la politique étrangère de l'Ukraine augmentent rapidement. Le soutien des Etats-Unis, du Canada et de l'UE rend possible un bond dans le développement du pays après la fin des hostilités. Dans le même temps, la Russie mène une formation intensive à l'invasion du territoire de Donbass, de la région de Rostov, de la Crimée et de la Transnistrie. DNR militants celebrated Ukrainian Independence Day by parading Ukrainian hostages and POWs on the streets of Donets'k and trampling on Ukrainian flag. Half-empty “humanitarian convoy” from Russia containing more than 200 trucks has broken through the border avoiding inspection by Ukrainian border guards. It did not include International Red Cross personnel as well. Within 24 hours it left Ukrainian territory again avoiding inspection. Media reports have been circulated that on the way back the convoy carried equipment of Ukrainian military plants and bodies of Russian military personnel killed in action on Ukrainian territory. 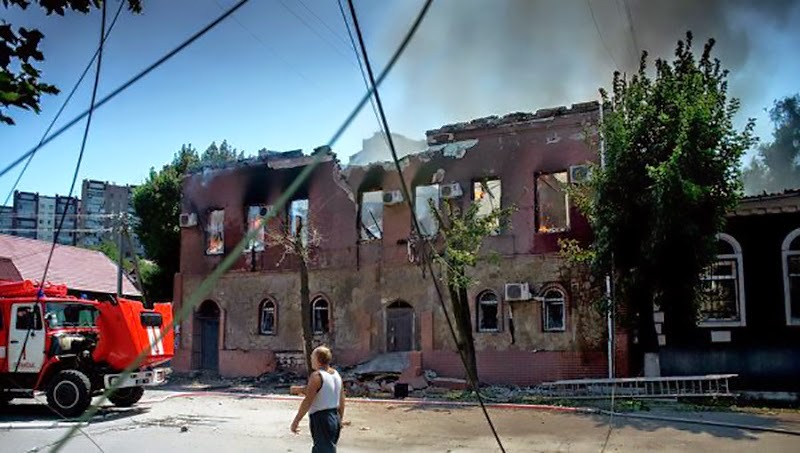 Massive shellings of Ukrainian towns in the Russian border zone are continuing. They use heavy artillery and internationally banned cluster bombs. Intense fighting with use of tanks and heavy artillery is ongoing in Donets'k region near strategic height of Savur-Mohyla and in the town of Illovays'k. National Flag Day have been celebrated in Ukraine. President Poroshenko participated in the Ceremony of hoisting the flag on Sofyivska square. 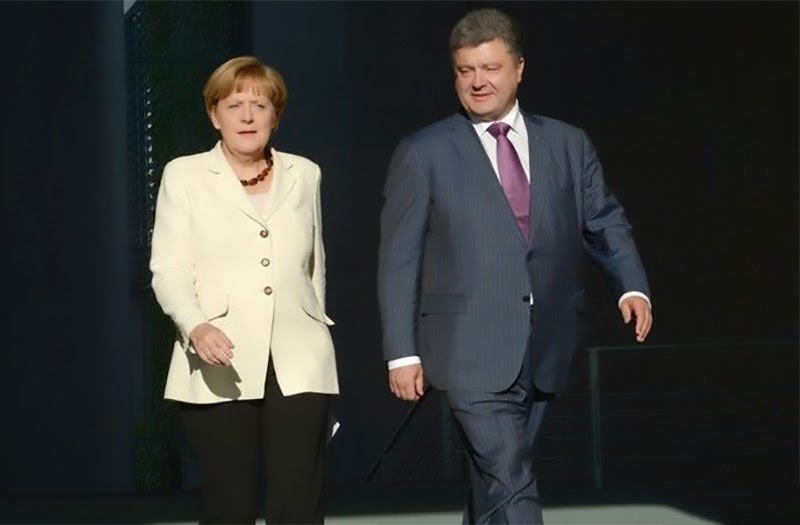 German Chancellor Angela Merkel visited Kyiv with a formal call. During negotiations, she has expressed her vision of Ukrainian decentralization, calling that «federalization», claimed that Germany will never agree to recognize Russian annexation of Crimea and occupation of Ukrainian territory, as well as that Germany is ready to welcome those injured in combat operation in Donbass for further treatment in Germany. At the same time, direct military aid is not being considered. However Germany is ready to provide 500 mlm. EUR for renovation of the damaged economy of the region. 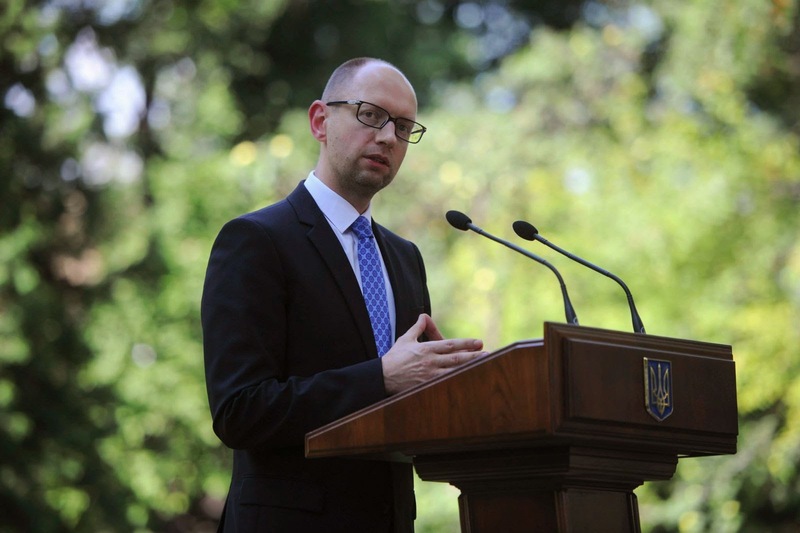 Ukrainian Prime Minister Yatsenyuk, during negotiations with the Chancellor, suggested that German companies could participate in the development of the Ukrainian energy infrastructure. Military equipment and units, that will participate in the Independence Day parade in Kyiv, will afterwards depart to the combat area in Donbass. 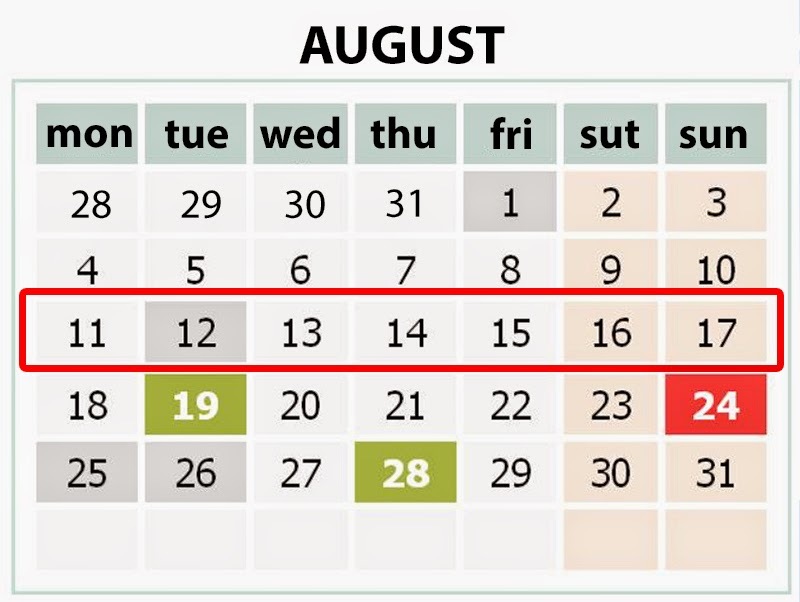 As claimed by the advisor of the President Poroshenko, parliament could be dismissed on August 27th. Existing parliamentary elections law allows elections through majority districts. This is being considered as an approach to obtain significant number of votes by the Party of Ukrainian Development, a direct heir of the Party of Regions. National Bank pushed back the exchange rate of Ukrainian Hryvnia (UAH) slightly: 13.11 UAH / 1$ (+11 cop), 17.42 UAH / 1€ (+24 cop), 3.62 UAH / 10 RUR (+4 cop). President Poroshenko decided to sell his business via the Rothschild investment company. From Ukrainian side the deal will be conducted by the company “Investment Capital Ukraine”, which's ex-general manager, Gontareva, became the Head of the National Bank of Ukraine. State Office of General Prosecutor arrested assets of the VETEK company amounting to 2 bln. 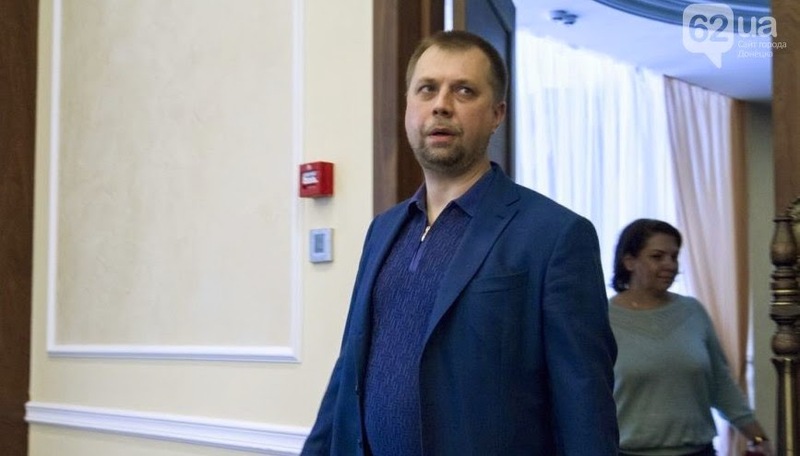 UAH, belonging to Kurchenko, closest friend of the son of ex-president Yanukovych, accusing the legal entity of illegal accusation of the state property on a mass scale. National Bank continue to strengthened Ukrainian hryvnia via currency interventions: 12.95 UAH / 1$ (+12 cop), 17.33 UAH / 1€ (+17 cop), 3.59 UAH / 10 RUR (+4 cop). Deputy Head of the Presidential Administration, announced during the briefing, that extended top level meeting of EU, Ukraine and the “Eurasian Trinity” (Belarus, Kazakhstan and Russia) is being planned for August 26, aimed to discuss implementation of Ukrainian association agreement with the EU, energy security and conflict in Donbass. Luhansk mayor, who had been collaborating with terrorists and have been recently captured by Aydar battalion, was reelased from detention by the court. National Bank slightly strengthened Ukrainian hryvnia: 13.07 UAH / 1$ (+6 cop), 17.50 UAH / 1€ (+6 cop), 3.63 UAH / 10 RUR (+1 cop). As terrorists weren’t able to guarantee security to the Red Cross specialists, customs clearance of the “humanitarian aid” haven’t been performed yet. Ukrainian border guards prevented the attempt of several Russian trucks to enter Ukraine through the checkpoint “Izvaryno”. As reported by the Washington Post, “Motor Sich” company from Zaporizhya continue to supply Russia with military produce. Kyiv authorities launched the investment competition on creation of the major network of points of sales, with direct access to consumers by the bread producers, aimed to prevent sharp price increases for the social types of bread. As per official reports from NSDC, fights are ongoing in the center of Luhans’k, Stanitsa Luhanska, Ilovays’k, as well as in the outskirts of Donets’k. Donbass terrorists receive powerful weapons such as multiple rocket launchers “Uragan”, use of prohibited by the international conventions antipersonnel mine cassette ammunition have been evidenced. Russia supply hundreds of heavy ammunition, armored technique, artillery systems and mercenaries to Donbass, through parts of the border uncontrolled by Ukrainian troops. Technique is being supplied without the license plates, mercenaries carry no insignia. Russia put surface-to-air missile systems on their side, that prevents the use of Ukrainian aviation in the borderline zones. Water supply to Donets’k was cut as terrorists damaged main filtration station. 94 settlements have been cut from electricity supply within the Donets’k region, around half a million of inhabitants are cut off from the electricity supply, as reported by the region authorities. Organized refugees column was shelled by terrorists with multiple rocket launcher “Grad”, dozens of civilians were killed, including children. As stated by the head of the polish humanitarian mission this accident could be recognized as the crime against humanity. Energy Minister of Ukraine Prodan met with the Deputy Minister of Energy of the US, questions of energy security during absence of gas supply from Russia were discussed and participation of the US specialists to the work of the anticrisis energy council agreed. As reported by the Eurostat, since the beginning of the year export of goods from the EU member states to Russia declined by -14%, import from Russia by -7%. Bulgaria fully stopped construction of the “South Stream” pipeline until the project will not comply with the European legislation. Minister of Foreign Affairs of Ukraine Klimkin, announced during the breeding, that German Chancellor Merkel will come to Ukraine with special visit on 23rd of August. 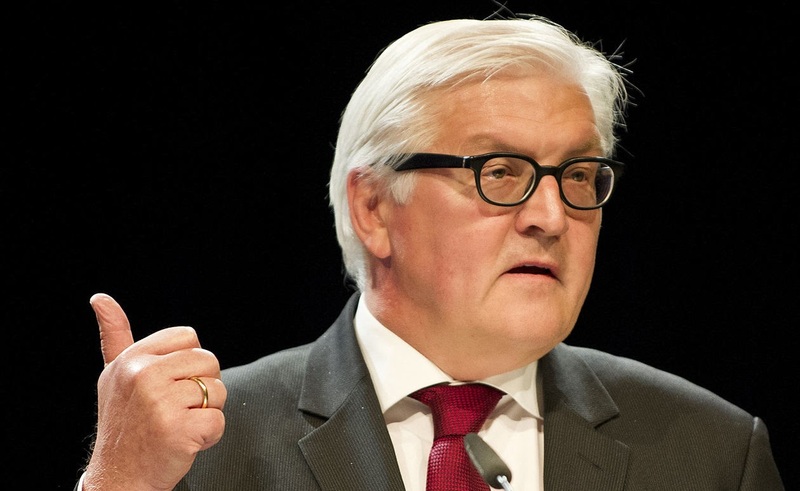 He also stressed that during negotiations in Berlin Russia refused to recognize facts of ammunition and mercenaries supply through its border, shillings of Ukrainian territory, as well as to allow effective border control by the OSCE observers. Verkhovna Rada speaker Turchynov during the joint press conference of the parliament spacers in Lithuania stressed, that compromises with aggressors hadn’t ever led to anything good. Ukraine is ready to protect Europe from Russian aggression but arms supply is necessary. European Union is ready to provide Ukraine with extra financial aid for refugees and re-settled subjects from the east of Ukraine, as confirmed by the EU representative responsible for humanitarian aspects and civil defense during the meeting with the Vice-Prime Minister Groysman. Prime Minister of Finland stressed that provision of the military aid to Ukraine from the side of the EU is impossible. OSCE observers, responsible for monitoring of the situation in Ukraine, will be provided by surveillance drones not earlier than by the end of the month. As reported by the Radio Liberty, anti Ukrainian propaganda in Russia have been just launched on children’s channels. Intensive preparation of troops for the winter campaign is ongoing from Russian and Ukrainian sides. 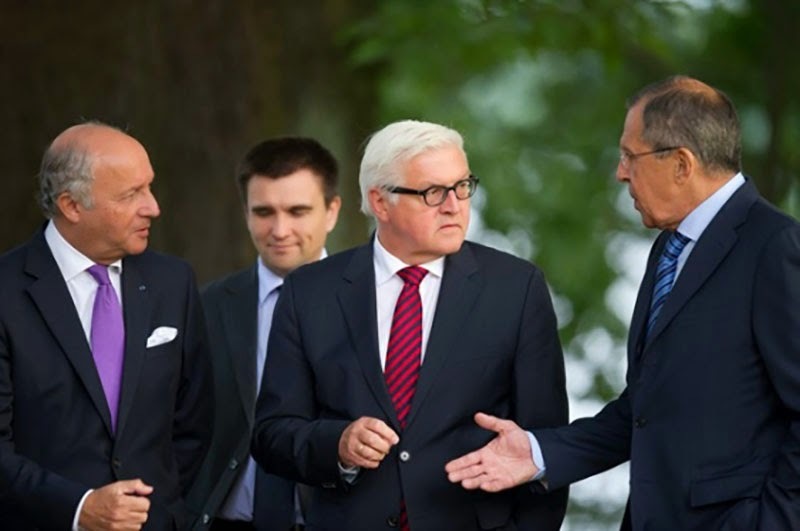 Russia has no other option to resolve the transport connection with Crimeas but through the land route through Ukraine. Cities of Donbass slide into chaos due to continuous terrorists shelling - water and electricity supply have been cut of in Luhansk since two weeks, water supply have been as well cut in Donetsk. Residential areas being chaotically shelled, civilians being killed. Terrorists blast bridges and railroads, systematically destroying the region infrastructure. Antiterrorist Operation Forces opened humanitarian corridors to let civilians leave the battlegrounds, but militants bar the evacuation, considering to use civilians as a live shield. 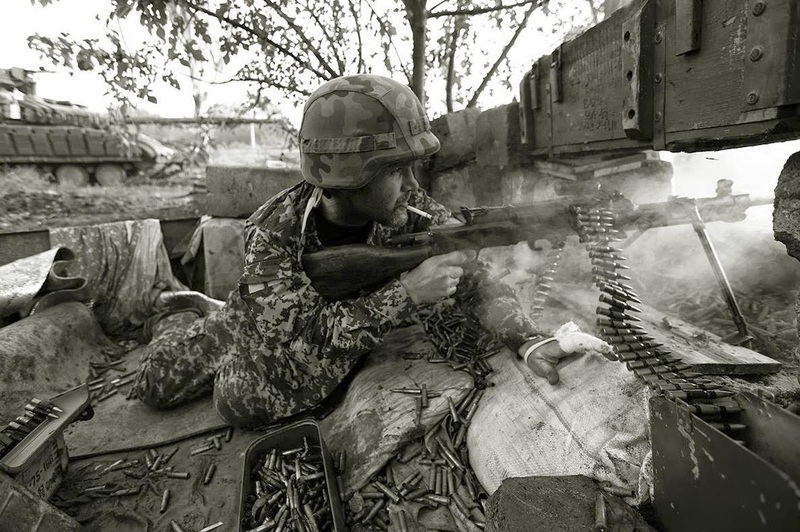 Fights are ongoing in regional centers of Donbass - Donetsk and Luhansk. Ukrainian army took over the control of Maryinka, Yuasinuvata, Panteleymonovka, Zhdanovka and Uglegorsk. First part of trucks with Russian «humanitarian aid» reached the customs checkpoint Izvaryno. OSCE experts will check the shipment on monday or tuesday, transfer of goods will be performed only through the International Red Cross. Humanitarian aid, provided by Ukraine, is being already distributed by the Red Cross in 10 cities of Luhansk region. 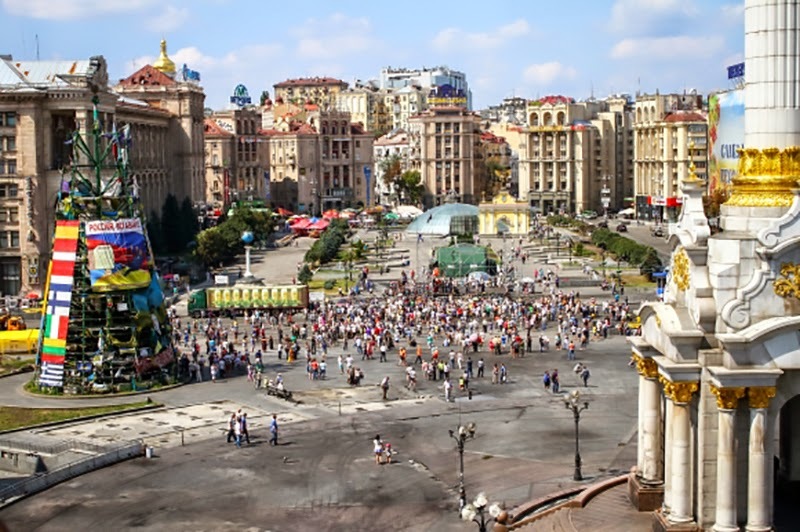 Slovyans'k inhabitants during the meeting decided to dismantle the monument of Lenin, as well as stressed subversive terrorists groups are acting in the city, as well as within the zone liberated by the Ukrainian army. 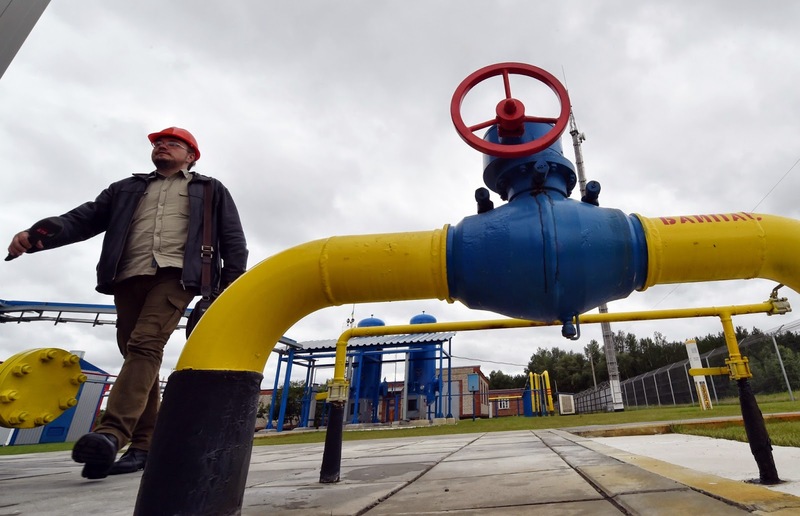 Slovakia and Ukraine started the test gas pumping, going to Ukraine in reverse scheme. 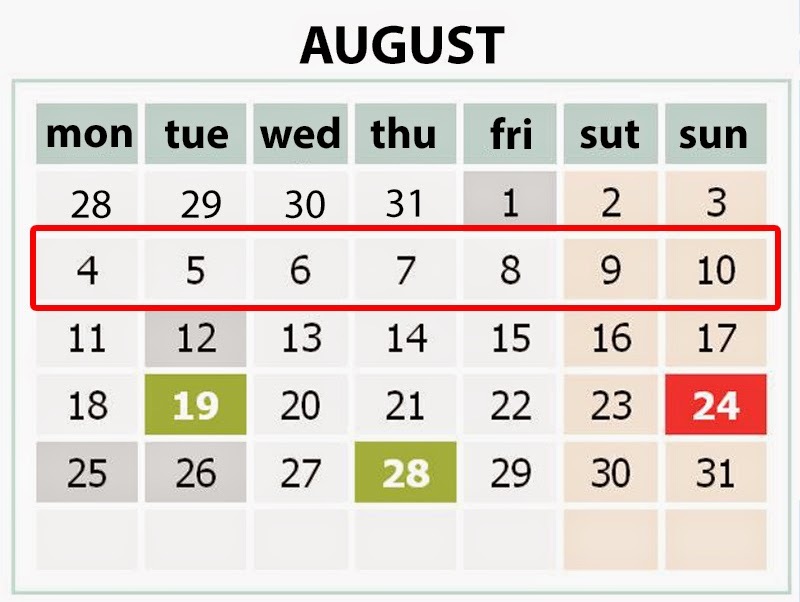 Gas supply is being planned for September. Based on the list of goods, provided by the International red Cross, Social Policy Minister Denisova signed the order of humanitarian aid recognition for the shipment supplied by the Russian “humanitarian convoy”. Ukrainian humanitarian aid is being already unloaded in Starobilsk and Severodonetsk. Financial Minister Shlapak stressed at the briefing, that major state lotteries «MSL», «Patriot», «UNL» are illegal and suggested to boycott them, as well as to legalize the gambling business, rationalizing this by need to fulfill the budget. UAH exchange rate of slightly declined and keeps at the level of historical minimum: 13.13 UAH / 1$ (-4 cop), 17.57 UAH / 1€ (-8 cop), 3.64 UAH / 10 RUR (-3 cop). As mentioned by latest trading participants, NBU intervened under the Fx rate of 13.0 UAH / 1$. 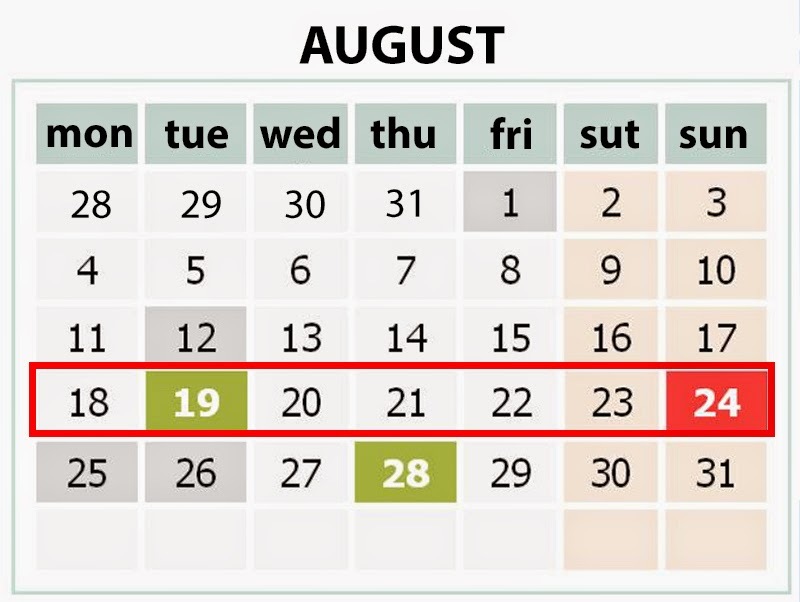 From 15th of August NBU will publish the status of the interbank currency exchange on its web site. 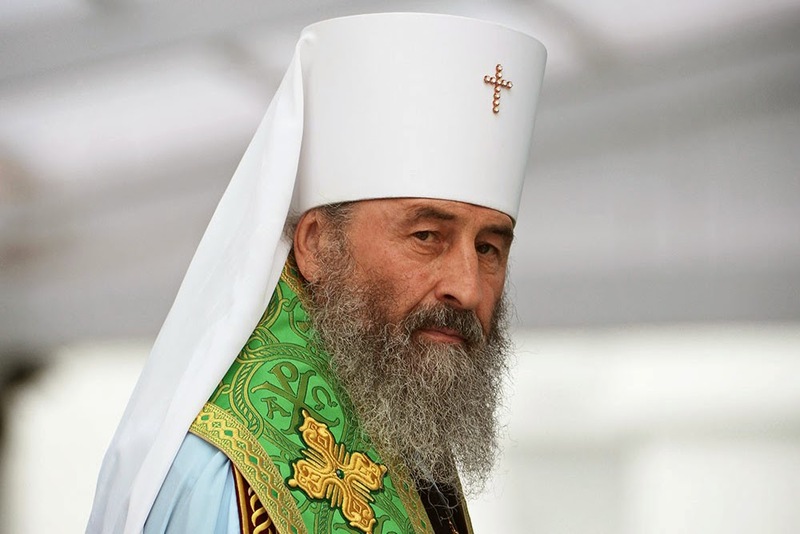 Bishops of the Ukrainian Orthodox Church under Moscow Patriarchate elected the new Archbishop Onufriy, who’ve previously served as Bishop of Chernivtsi and Bykovyna and known for his pro-Russian position and being against the reunification of orthodox churches in Ukraine. Ukrainian Government created special commission to defend Ukrainian interests in getting back the part of the property of former USSR belonging to the sovereign, aimed at audit of assets and liabilities of the former USSR and defense of Ukraine in the international courts. Minister of Fuel & Energy Prodan reported that decision have been taken within the meeting of the Government on the order of implementation of the state of emergency in the electricity energy field due to absence of coal on stock of the thermal electricity stations as the result of combat operations, that could limit the export of electricity. Official exchange rate of the Ukrainian Hryvnya (UAH) slightly stabilized, being at the level of historical minimum: 13.11 UAH / 1$ (+3 cop), 17.50 UAH / 1€ (+8 cop), 3.62 UAH / 10 RUR (+1 cop). Interbank Fx rate went down a bit as well as the spread since the opening go the trade session. Traditional Sorochynska Fair have been cancelled by the Government due to the complicated socio-political situation in the country. Official Fx rate, established by the National Bank of Ukraine (NBU), continue to decline: 12.82 UAH / 1$ (-22 cop), 17.17 UAH / 1€ (-32 cop), 3.52 UAH / 10 RUR (-5 cop). Daily rates fluctuated within the range of 12.6-13.2 UAH / 1$ and 16.87-17.67 UAH / 1€. NBU explains Fx erosion by the military actions in the east of Ukraine, experts stress currency deficit on interbank trade. So far none of the NBU attempts to calm down the market with interventions have succeeded. Russia continue to concentrate invasive military units on Ukrainian border, continuously shelling Ukrainian military strongholds and cities from its territory, supply LPR and DPR terrorists with armored vehicles, artillery, ammunition and mercenaries through parts of the border not covered by Ukrainian border guards. Ukrainian army, contain terrorists forces near big cities, advance to their territories, recently cut the supply between Donetsk and Luhansk, successfully combat near the border and liberated Popasna and Miusinsk. Terrorists are trying to build massive strongholds in big sites and use civilians as a shield. Odessa Anti-Maidan leder Davydchenko, conditionally charged by Odessa court on accusation for separatism, fled from Ukraine. Acivists tents and scene have been fully dismantled on Maidan, traffic zones of Khreshatyk and nearby streets have been cleared. 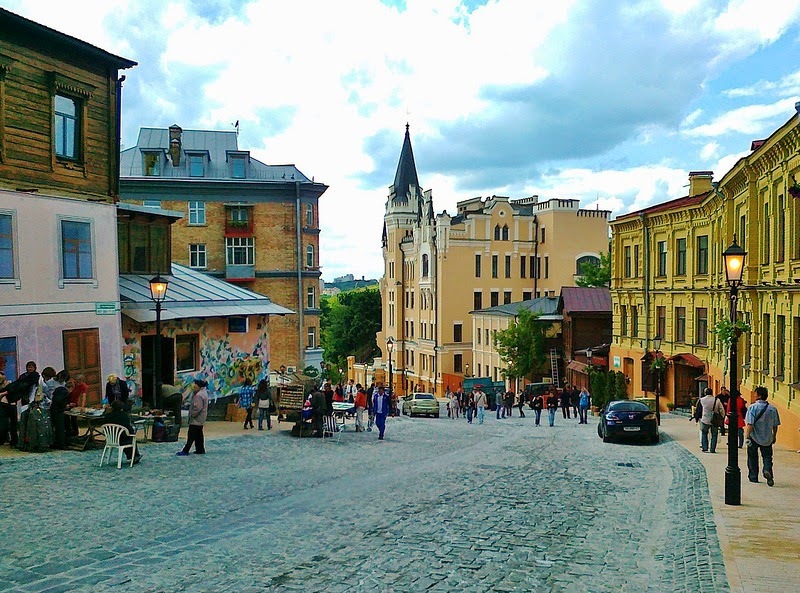 Mayor Klitchko promised to keep Institutska street as pedestrian area. The Government of Ukraine has developed a package of tax laws, on the basis of which is the budget been drawn up in 2015, the year for which laws must be adopted by the Verkhovna Rada. Service, in particular, for reducing the number of taxes from 22 to 9, structure change of the excise tax, by the insertion of the luxury tax, environmental fee and the target bonus to the tariff for electricity, a substantial redistribution of tax revenues to local budgets (real estate tax, a flat tax and a large part of the tax on income of individuals), the creation of a single body of financial investigations instead of the tax police and other investigating authorities in the field of economics. Among the main innovations planned - the unification of accounting and taxation, and a sharp decline in tax and payroll companies with the introduction of a progressive income tax scale. Tax on land and property on it is planned to combine. Major agricultural associations must be translated into a common system of taxation. 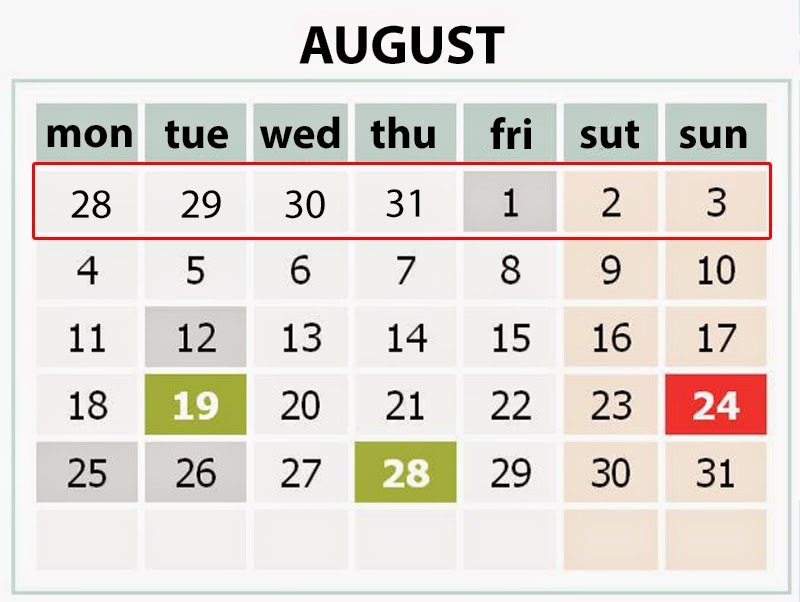 The government forecasts the adoption of the proposed law in September after consultation with representatives of the business. 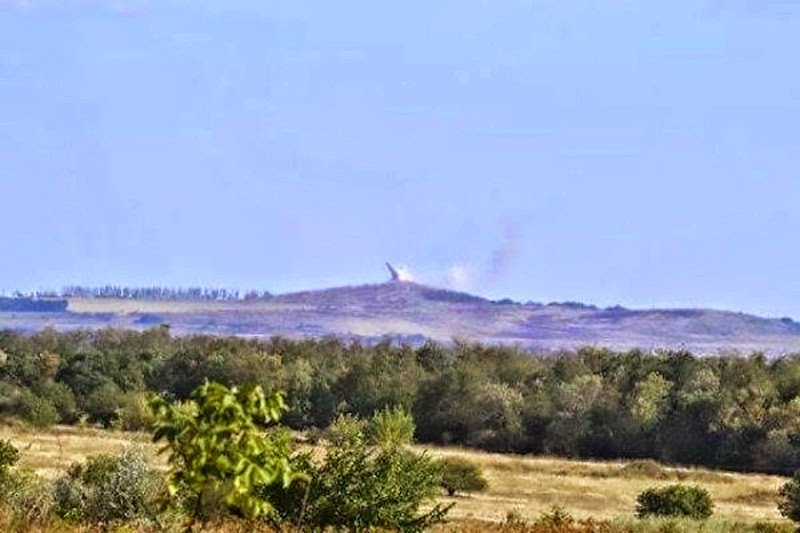 Russian army continues shelling Ukrainian Armed Forces from its territory, using multiple rocket launchers and artillery. Aircraft and helicopters of Russian Air Forces routinely violate Ukrainian airspace, but are not shot down so far. 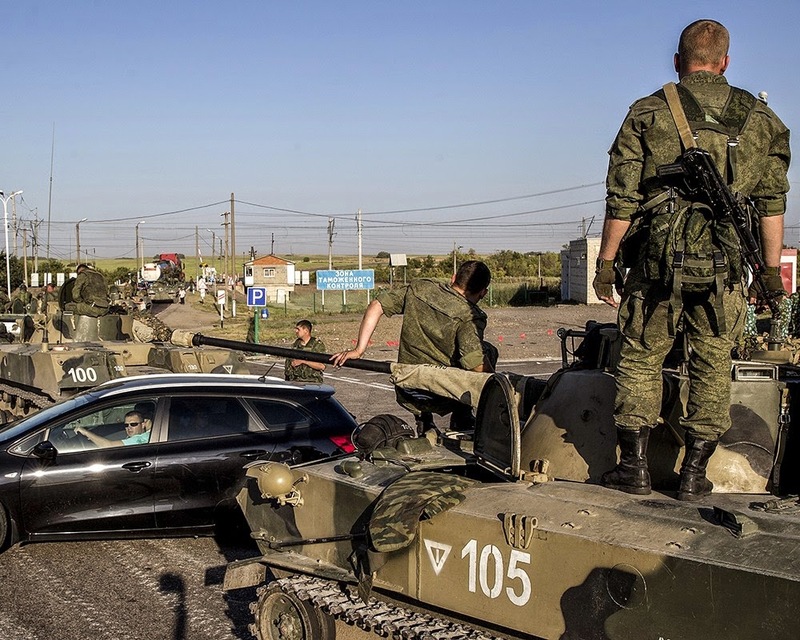 Columns of armored vehicles, artillery, multiple rocket launchers, ammunition trucks and mercenaries, penetrate from Russia to Ukraine through the part of land borders, controlled by terrorists of LPR. 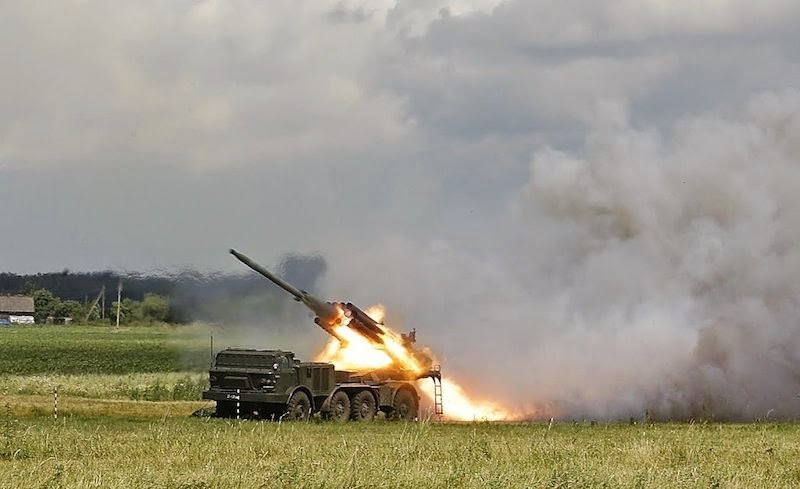 Terrorists are shelling residential areas of Donetsk, Luhansk, Avdiivka, Shakhtarsk and Terez with multiple rocket launchers "Grad" and artillery, civilian casualties are reported. Mayor of Stakhanov, "information minister" of DPR Bloha and Mayor of Popasnaya have been arrested for collaboration with terrorists. Ukrainian troops with a rapid maneuver split the group of terrorists in Debalcevo, captured the strategic heights Saur-Mohyla, are fighting for Torez, Snizhne, Shakhtersk, Pervomais'k, Luhansk, Donetsk stripped from militants are Ilovajsk, Avdiyivka, Debalcevo. "The Minister of Information Policy" of DPR, Bloha have been detained in Mariupol while trying to flee to Crimea. She is being accused of participation in terrorist organization and transmission of information on Ukrainian activists and journalists of Donetsk to terrorists. The territory of Kharkiv tank plant was shelled with flamethrower, police classified the event as a terrorist attack. General Prosecutor’s Office of Ukraine is working on the project of the Law on In Absentia Denunciation of crime suspects within the criminal proceedings, that will allow to return to Ukraine significant amounts of assets, stolen by officials from Yanukovych regime, and allow include some individuals to the Interpol investigation database. General Prosecutor Yarema said at the briefing that strong reorganization have been conducted within the agency and ¾ of central office cadres have been renewed, but tipping point haven’t yet occurred. According to experts, many of those who served under the Yanukovych regime came back, as well as unexperienced in the prosecutor's office job have been appointed. Ministry of Internal Affairs of Ukraine, through Russia's ambassador to Ukraine Zurabov, summoned for questioning and announced under suspicion of "the organization and financing of illegal armed groups" against Russian citizens Zyuganov, Mironov, Zhirinovsky, Defense Minister Shoigu billionaire Malofeeva. 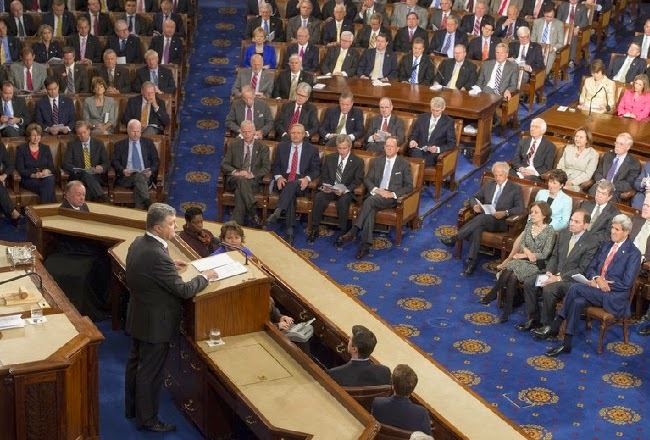 President Poroshenko signed several important laws previously adopted by Verkhovna Rada. In particular, he signed the Law on Higher Education, that determines self-governance and integration of universities into the European space, based on the Bologna process, as well as Amendments to the State Budget and the Tax Code, providing additional funding to Kyiv, martial tax on personal income, reduction of state official salaries. President Poroshenko announced in TV interview creation of international Donbass recovery aid fund, involving US, UK, Japan and most European countries. Additionally, Ukrainian oligarchs money should be used for the region's recovery. President Poroshenko insists on change of electoral law and introduction of a fully proportional system and open party lists.